The R4Mplus offers global companies a cost-effective and dependable performer to help meet RFID compliance initiatives. 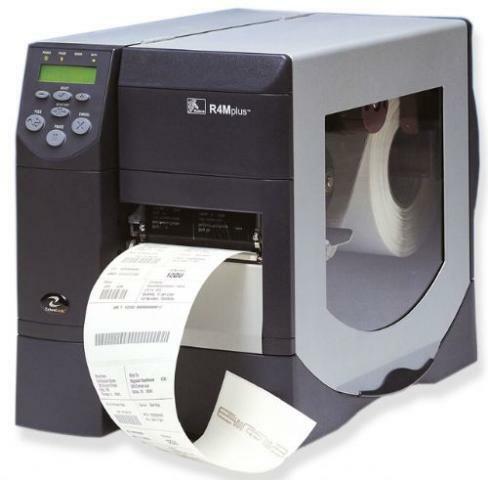 With die-cast metal construction, centralized printer/encoder management, a variety of connectivity options, and complex multi-language font support, the R4Mplus is a super value. Plus, the fully integrated RFID reader/encoder supports a number of tag types, including EPC UHF and ISO 18000-6B UHF protocols. With products available in both North America and Europe, the R4Mplus offers configurations that can meet regional RFID regulatory requirements - ideal for companies operating globally. he R4Mplus is also ideal for RFID printer/encoder applications in health care and life sciences, express parcel, entertainment, and asset management.